Taazaa is a Ohio Corporation with expertise in Custom Application Development (desktop & web), Mobile Apps (native and cross-platform), Product Engineering, and Managed & Cloud Hosting. Click HERE to check out the latest Chamber News! 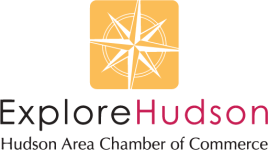 © Copyright 2019 The Hudson Area Chamber of Commerce. All Rights Reserved. Site provided by GrowthZone - powered by ChamberMaster software.